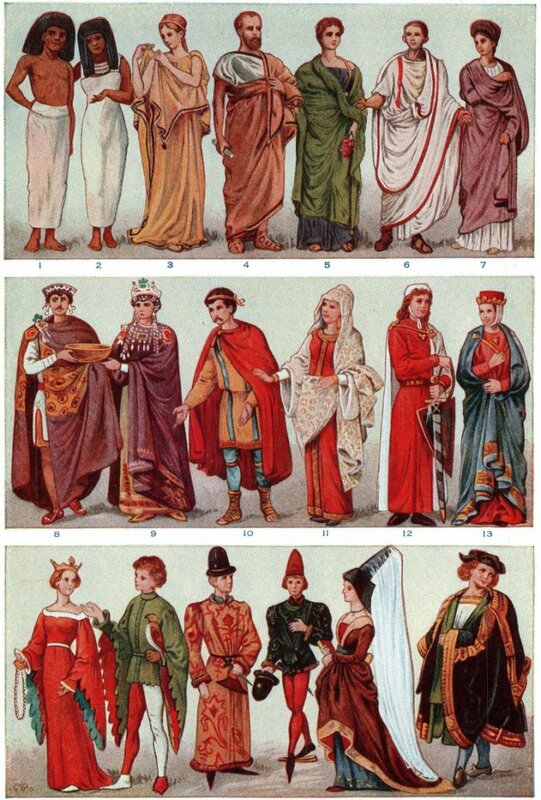 Roman clothing’s were mostly from the material wool, which was spun and woven by hand at house or in a workshop. In some places – towns and cities, Roman people acquire their woolen cloth to the fuller’s workshop to be dirt free and treated before it was finished into clothes. Initially the cloth was stiffening by sopping it in urine and then it was dirt free by abrasion it with a variety of clay. Then the cloth was compressed, lengthened and sun-bleached. Fullers also cleaned and repaired clothes for the richer people. Sometimes the Romans comprise clothes prepared from linen, which appeared from Egypt. The wealthiest dress-in clothes made of cotton material from India and silk from China. The basic garment for men was a simple, belted tunic made from two rectangles of wool stitched together. Tunics were usually made of unbleached wool and reached to the knees. Below their tunics men wore loincloths which were made from a narrow piece of wool or linen, which also have simple cover which could be covered around them or fastened with some decorative brooches at the neck portion. Imperative men wore a toga over their tunic garments. This was a very lengthy band of woolen cloth, covered around the body and draped over one shoulder. However, the toga was very heavy and awkward to wear, so it was only worn for special occasions. Togas were usually plain white in pattern, which were worn by senators had a broad purple border. Until they were sixteen, boys from wealthy families wore a white toga with a narrow purple border.